Killyliss Lodge is new modern purpose built two bedroom self catering facility. The lodge lies within the grounds of Killyliss House. Ideal for couples or small families with lots of outdoor toys for children. Includes two double bedrooms comfortable to sleep four. Is equipped with children’s cot and high chair. Living area is spacious open planned with fully equipped oak kitchen including oven, microwave, fridge and washing machine. The living room has modern TV including Freeview, DVD/CD player. A modern shower room with shaver socket and full set of towels provided. The stay includes continental breakfast package on your first morning. Central heating provided throughout the accommodation and included in the cost. The use of inside barbecue gazebo can be included or just enjoy resting in front of the outside log burning fire. 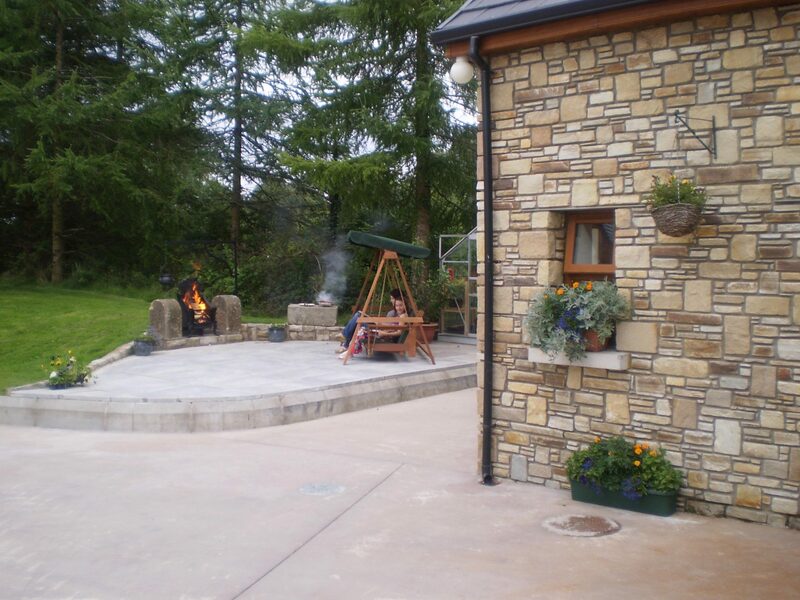 Killyliss Lodge offers relaxing country surroundings and plenty for families or couples just wanting a break. – Located on outskirts of Clabby village. – Plenty of outdoor toys, bikes, go carts, sand pit on premises for young children. – Three miles from Fivemiletown’s bars and restaurants. – 300 metres from public bus stop in Clabby village. – Situated close to local fishing lakes and rivers. – Only 15 minutes from Lough Erne fishing. – Close to Lisnaskea Share Centre with fully equipped disabled facilities. – Three miles from Blessingbourne and Colebrooke etates, popular for fishing and game hunting (private fishing license for Blessingbourne can be bought daily as required).